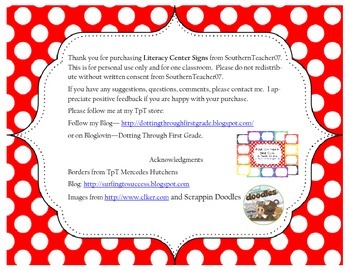 Literacy Center Signs in Polka Dot Theme. 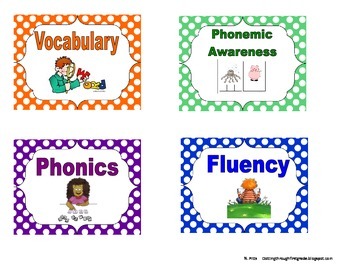 Center signs include Phonics, Phonemic Awareness, Vocabulary, Fluency, Grammar, Reading Comprehension . 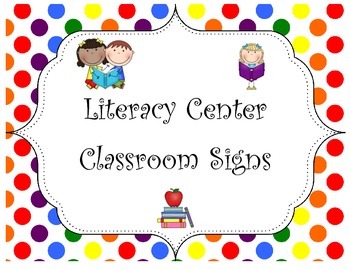 This includes full size center signs with the matching pocket chart signs for coordinating classroom centers.